While Barrier Islands Free Medical Clinic counts its blessings to receive the voluntary time and dedication of a physician like Dr. Victor Agusta, he is fact is one of those rare humble spirits who considers the pleasure to be all his. 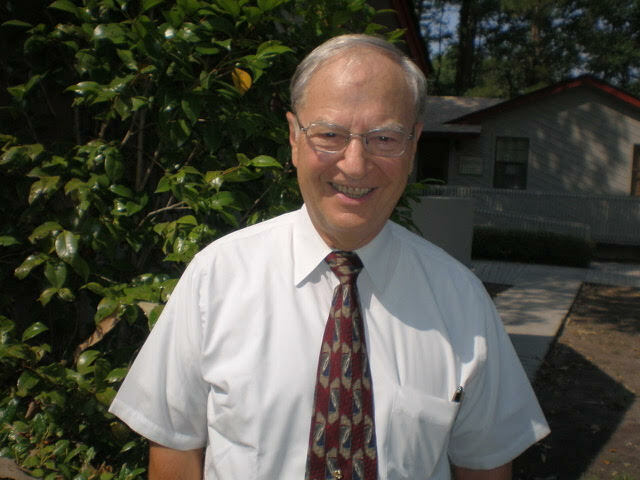 One of the original volunteer physicians to practice at the free clinic, which opened its doors on Johns Island in 2009 under the leadership of doctors Charlie Davis and Arthur Booth, Dr. Agusta dove right into the unfamiliar territory of treating an impoverished population – a portion of that being a non English-speaking Hispanic community. Despite working with talented volunteer Spanish interpreters, Dr. Agusta, like many of the physicians at Barrier Islands Free Medical Clinic who treat the poverty-stricken and uninsured residents and workers of Johns, James and Wadmalaw Islands, had to work that much harder to bridge the often non-verbal gap that only an experienced doctor can interpret from the ailing body. Raised in Brooklyn and having graduated first in his high school class, Dr. Agusta received a full scholarship to St. Johns University in New York, where he met his wife, Carol. Veering from the path of his father and brothers – all architects and engineers – he instead went on to attend Rochester Medical School, embarking on the path of medicine with an open mind and his heart in front of his feet. Following his residency at Hartford Hospital in Hartford, CT, Dr. Agusta spent the next two years as a medical doctor in Vietnam during the war. Upon his return home, he decided to advance his medical career by undertaking a fellowship at the University of Virginia, specializing in Urology. Dr. Agusta loved family medicine – where he could really get to know his patients and their families – but he also loved the tangible practice of surgery. For him, the practice of Urology was the best of both possible worlds. His wife recalls, “Patients would tell me that he never made them feel rushed, that he had a way of making them feel that he had time for them.” This trait in particular would set Dr. Agusta apart as a first-rate physician and teacher; he went on to serve as the Head of Urology at Lancaster Hospital in Lancaster, PA – one of the highlights of his career – and was also selected by his peers to serve as President of the medical and dental staff, and also on the Board. He eventually opened a private practice in Lancaster, which he operated until his retirement in 2004. With one foot in Lancaster and another on Seabrook Island for the first several years of retirement, Dr. Agusta wasted no time diving back into work once he heard about the mission of Barrier Islands Free Medical Clinic. Volunteering six months out of the year during his time at Seabrook, Dr. Agusta eventually moved to the South Carolina coast full time in 2010, where he immediately assumed the position of year-round volunteer physician at the Clinic. Today, Dr. Agusta takes great pleasure in his ability to counsel and connect with his patients, finding reward in the steady pace of physician-patient interactions. A lifelong teacher but also a student of life, Dr. Agusta has always stressed the importance of the patient-physician relationship: educating – but also to learning from – those he treats. Treating the same patients over time, and understanding the life experiences of his patients, for Dr. Agusta, creates a level of trust necessary to deliver effective preventative primary care. For this reason alone – though backed by his numerous remarkable qualities – Dr. Agusta is an exemplary BIFMC Pillar. Thanks to volunteers like Dr. Augusta and donors like you, each month BIFMC is able to treat hundreds of uninsured community members that live or work on Johns, James and Wadmalaw Islands. If you would like to make a gift to support our free clinic and services, please Donate Here. Barrier Islands Free Medical Clinic provides medical care to eligible patients, just like any family practitioner or internist – but it is free. We serve uninsured adults living at or below 200 % of the Federal poverty level who live or work on Johns, Wadmalaw or James Islands. You can follow us on Facebook, Twitter, and Instagram.